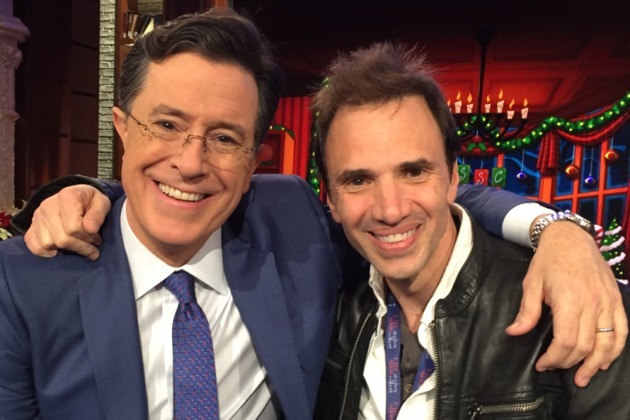 Audience members for "The Late Show With Stephen Colbert" are already familiar with Paul Mecurio. He has served as the warm-up act before the cameras roll every since the show debuted. Those who have never been to a taping get a chance this weekend to see how the lawyer-turned-comic pumps the crowds up during his three-night stint at Rick Bronson's House of Comedy at the Mall of America. The first half of Thursday's one-hour performance was a simulation of what he does in New York: No pre-prepared jokes, just engaging the room with a barrage of questions about marital status, career choices and whatever else pops into his acerbic mind. No one is safe; Unlike other comics who "work" the crowd, Mecurio doesn't limit his engagement to the front row. He reaches into the cheap seats, even bringing folks up on stage for selfies and a pat on the back. One audience member, who handed Mecurio a caricature he had sketched from his seat, was rewarded with a complimentary beer. "I want people to feel like they're hanging out in somebody's basement and I'm kind of the ringleader," Mecurio said after the show. "When you bring a beer up on stage, it's like someone bringing a beer from the kitchen." For those who want a taste of being in the "Late Show" audience, Mecurio has two shows both Friday and Saturday night at the Mall. Just be prepared to spend some time in the spotlight.